Mju Development – We build apps we love! Having difficulties managing your kids allowance? Having difficulty remembering if they got any allowance this week..or the week before? Maybe you forget that you actually paid for this or that they wanted that time in the store. We carry around cash less and less these days and, at least in our family, we keep the children’s allowance on a board. That just changed! We have built Our Bank for you (and us) to solve as much of the allowance and money in, money out for the family as possible. 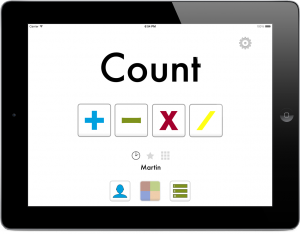 Count (Räkna in Swedish) is a math Arithmetics training game for everybody ages 6+. The objective of the game is to try to find all number bonds (pairs) to reach a given target number for each number screen. 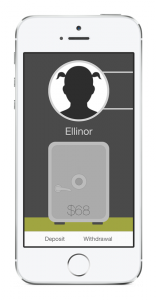 It is available for iPad, iPhone and the iPod as a universal app. Cardiac is a card game scoring app which uses specialized scoresheets for each game to streamline the scoring and make scoring more fun! We currently support Gin Rummy, Arlington Rummy, Canasta, Hand & Foot Canasta, Cassino, Hearts and Halmstad Rummy, and we intend to add more games over time.